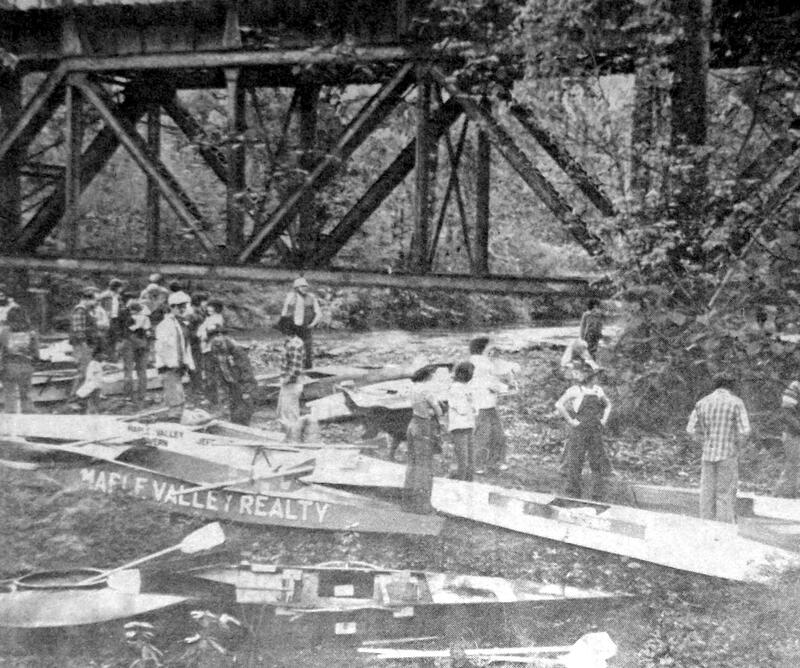 Part of the crowd who gathered at the Lower Dorre Don railroad trestle (“Ziegner’s Bridge”) for the Cedar River Boat Sprint Race on May 5. The racers were wet before they hit the water in Saturday’s Sprint Race, a one-and-a-half mile river course. In an off again-on again downpour with hailstones, the Good Earth Works boat powered by the Petchnick brothers, Dan and Rudy, came in first after four elimination races which started with 16 boats. In second place were teenagers Jeff Werlinger and Gary Hall from Tahoma High School. They built their boat, “Pride of West Valley,” in Construction Exploration class. Hagen Electric with Jim Hagen and Jim Thompson took third.